The White Lion was once a coaching inn with space for 20 horses. 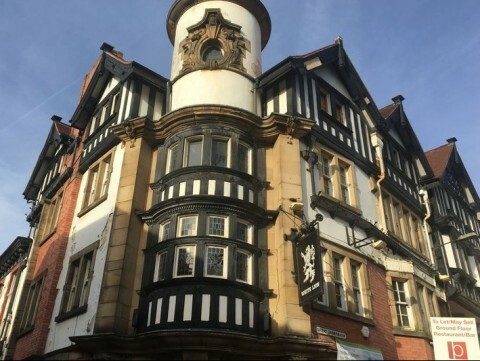 The White Lion was once a coaching inn that could accommodate over 20 horses in its stables. 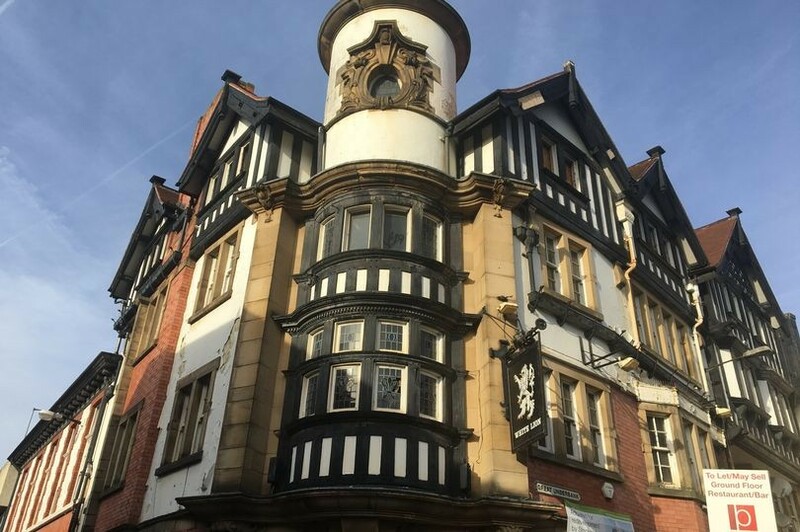 It has a licence that dates back to the 14th century and sits at the end of Great Underbank, on what was once the main route into the town close to the only crossing over the River Mersey at Lancashire Bridge. It has been rebuilt several times over its long history, and was re-fronted in a mock Tudor style in 1823. The last major remodelling took place around 1904 to 1906, giving the building the distinctive features it still carries today. Sadly, it has been sitting empty for the past few years, but is now being converted into stylish new flats with a restaurant on the ground floor.